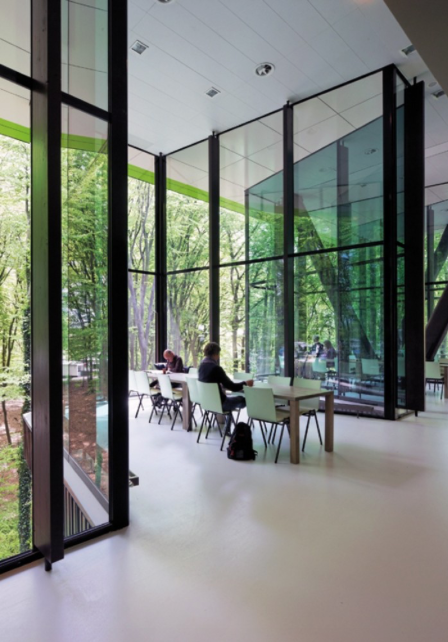 The Rehabilitation centre Groot Klimmendaal, designed by Koen van Velsen in 2011, is located in the Netherlands and designed to have continuity between the exterior and interior. This created a strong presence of the surrounding nature within the facility. This is a rehabilitation centre, however it is also a space that is used by the local community, which further creates that sense of community within the facility and for its patients. The aim of the interior was to create a positive and stimulating environment that promotes health. 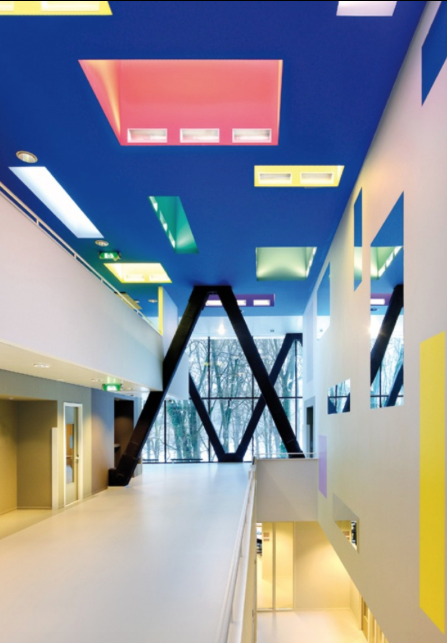 The design was a collaboration between the patients of the building and van Velsen, creating an environment by and for the patients. 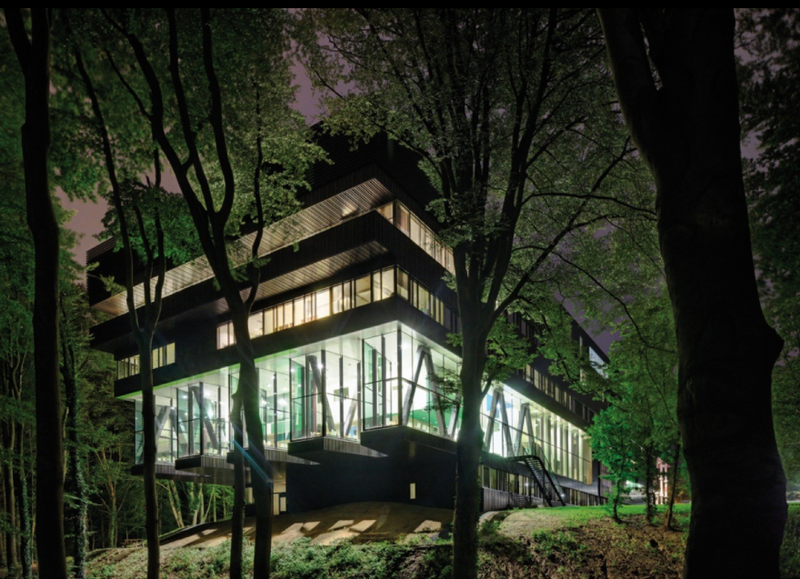 Through van Velsen’s ideology of “form follows intention” (Gregory, 2011) he designed a place commended by both designers and its patients by creating humane spaces and ultimately creating a “process that encourages the reintegration of the patient into the local community”(Gregory, 2011). 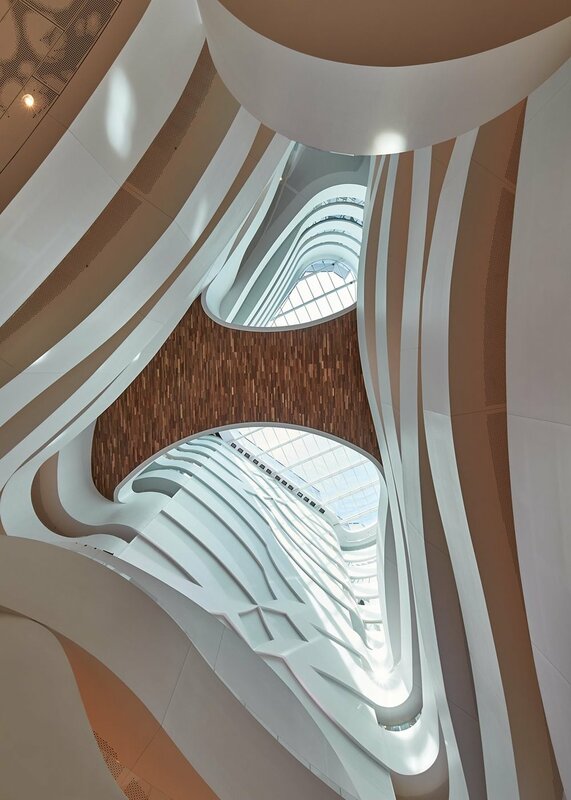 The Victorian Comprehensive Cancer Centre in Melbourne (VCCCM), designed by DesignInc, Silver Thomas Hanley and McBride Charles Ryan and completed in 2016, was designed around human-centeredness and wellbeing. VCCCM was built to accommodate the masses, however the rooms were designed to create more ‘privacy and dignity’ for the patients(Edgar, 2017). 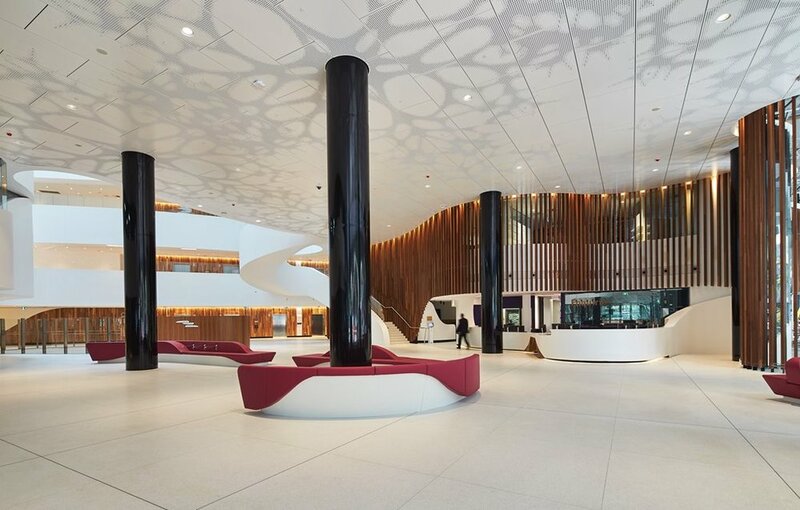 Kristen Whittle, the design director on The Royal Children’s Hospital, questions “why does a hospital need to look like a hospital? Why induce [more] fear when you know that fear is [already] a problem?”(Edgar, 2017). Even though this is a large-scale redesign, this idea of creating a space that limits the uneasy feeling and preparing the patient for the future, within medical facilities, by using techniques such as incorporating technology is beneficial as it assists in creating an optimistic and hopeful environment. Sargood on Collaroy is a new rehabilitation and vacation spot for those with spinal cord injuries. It is located in New South Wales and was designed by WMK Architecture. Their design aim was to redefine the traditional clinical environment of a rehabilitation and recovery centre to incorporate an environment that resembles everyday life to create a place of healing. As the facility was designed in 2014, it has been named successful by its users due to its ‘purpose built’ (Sargood on Collaroy, 2017) design as a health and wellness resort for those with spinal cord injuries. This facility however, was created initially for that purpose, yet many other facilities resemble the traditional design of a rehabilitation centre. This facility has been explored as they have created a space that has a sense of comfort for users to improve their health and life skills, which will be further explored to understand how facilities can use these techniques to prepare the patients for the ‘real-world’. 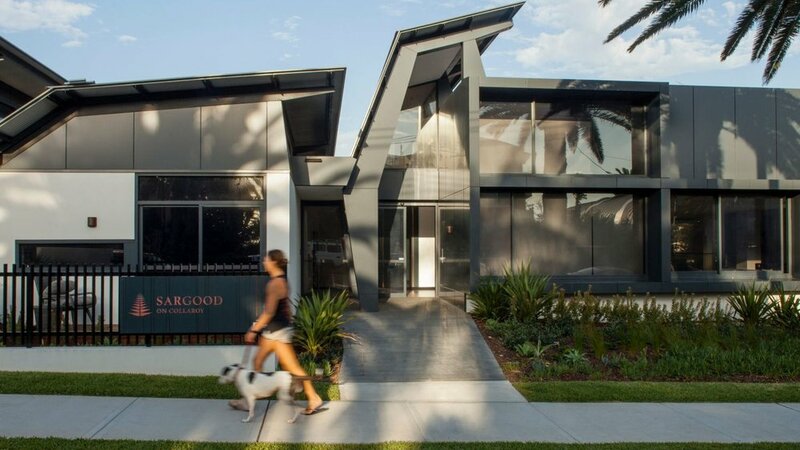 Sargood on Collaroy room are designed to create a sense of place and ease for its users. The accessible environments limit stress due to the fact that its users are capable of using the space without any restrictions and gives them piece of mind when travelling there for a holiday. MIERON is the world's first Virtual Reality NeuroThreapy system designed specifically for rehabilitation. Based in the principles of neurorecovery, locomotive training, physical therapy & occupational therapy; Mieron is transforming rehabilitation. Watch to see how Mieron is helping patients achieve more! Virtual reality is currently being used in a Queensland outpatient rehabilitation centre Making Strides. The facility have been using the “Virtual Reality headsets for the past few months as part of a new generation of rehabilitation technology” (The Advocate, 2018). The facility is taking a different approach to their rehabilitation exercises to assist in balancing and with range of motion (The Advocate, 2018). According to the director of Making Stride, Kristee Shepherd, the virtual reality assists in certain training exercises as it allows the user to focus on how they are feeling rather than focusing on movement (The Advocate, 2018). The virtual reality experience takes a new approach at engaging patients to ultimately aid in their wellness and independence. The HTC VIVE headset allows the user to move around the VR environment. The headset does however need to be plugged into a computer and the HTC VIVE monitors need to be set up to create a perimeter. This can limit the space available for movement. A powerful graphics card and computer is needed to launch both escape and the HTC VIVE. The HTC VIVE was chosen as it was one of the available VR headsets at Griffith University and research stated that specialists believe this is one of the best VR devices. Once the headset and monitors are set up, the environment is easy to navigate through using the controllers that can change views, heights, can view at a standing or sitting position and can take photos of what the participant is viewing. As this headset is known for its effectiveness in gaming programs, it suits this design research outcome as the future of this research will be exploring new interdisciplinary programs to develop the outcome.